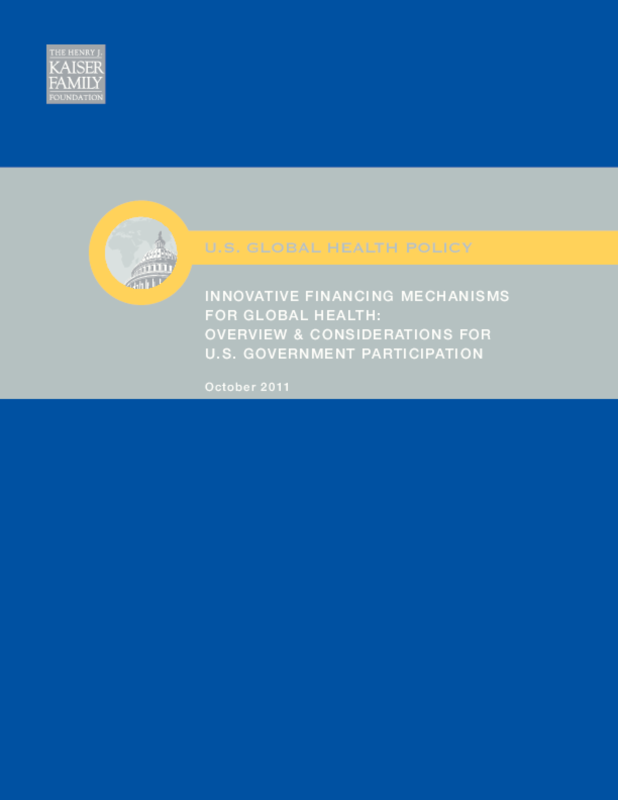 Defines, classifies, and inventories innovative financing mechanisms for global health such as front-loading funds, public-private research partnerships, and performance incentives. Examines U.S. government involvement and policy considerations. Copyright 2011 Henry J. Kaiser Family Foundation.